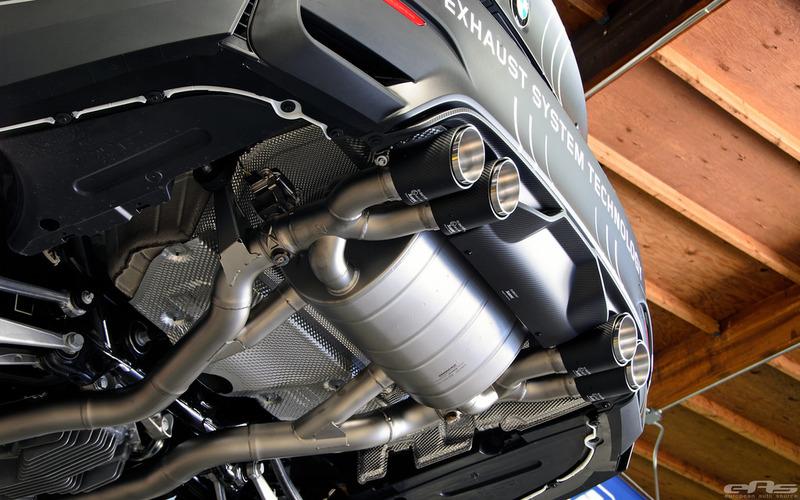 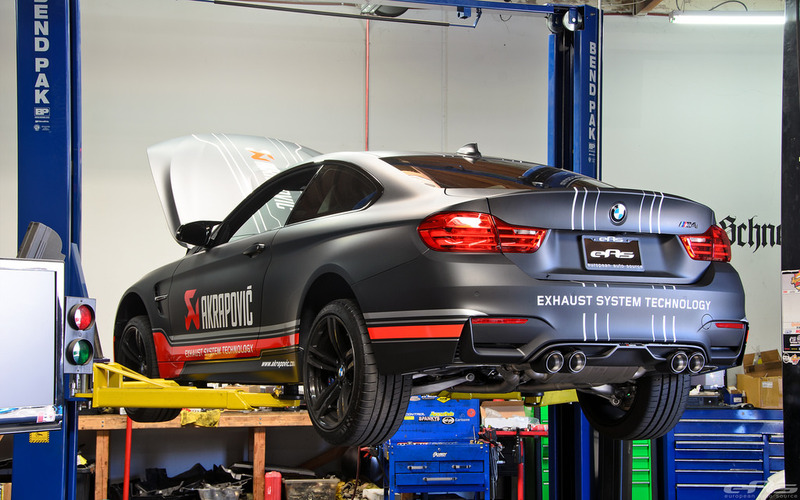 Having home-court advantage to Akrapovic‘s facilities, European Auto Source works very closely with the company and they were able to provide installation and collect some data on the new Evolution systems on the F8X M3/M4 platforms. 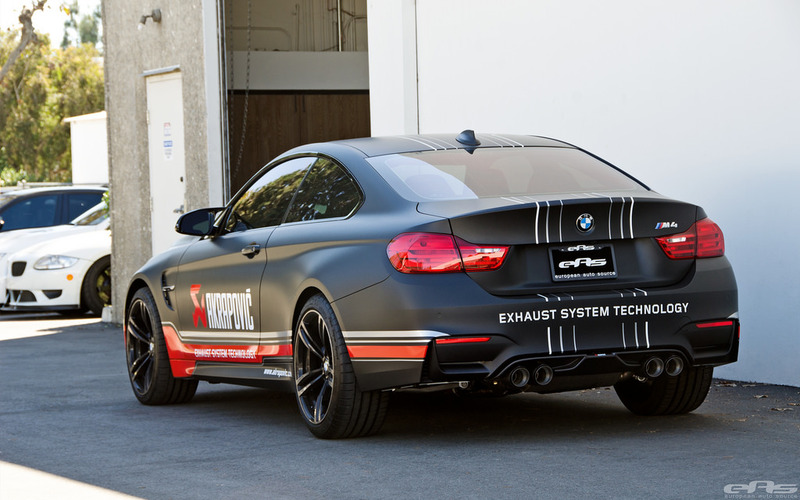 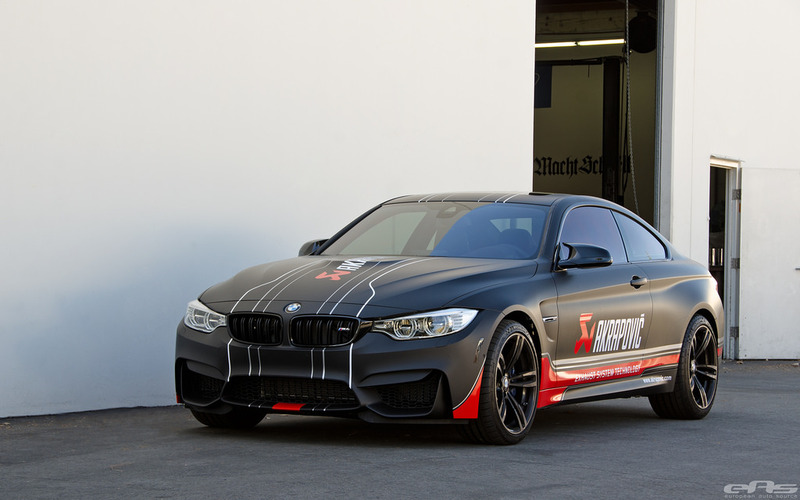 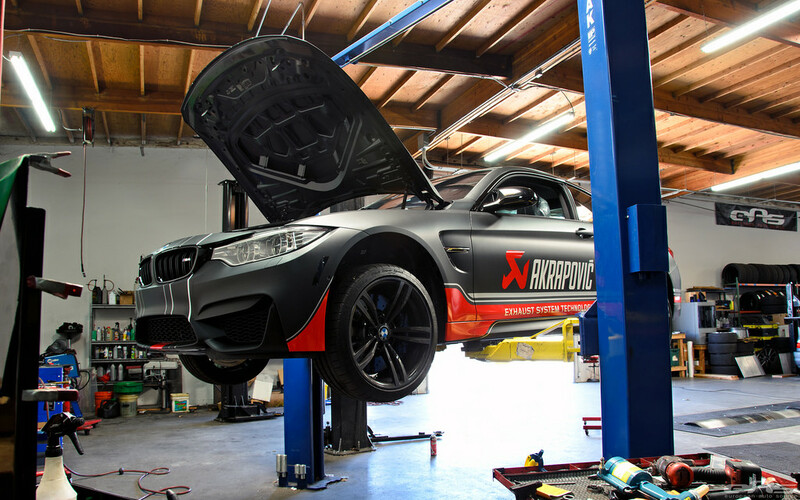 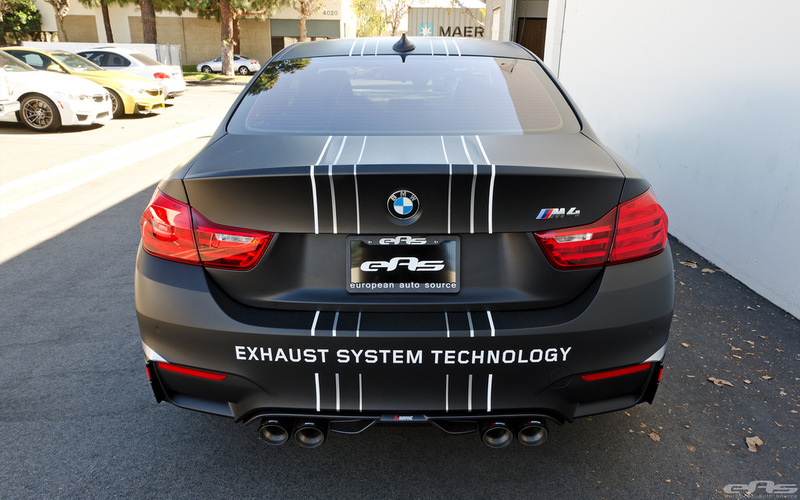 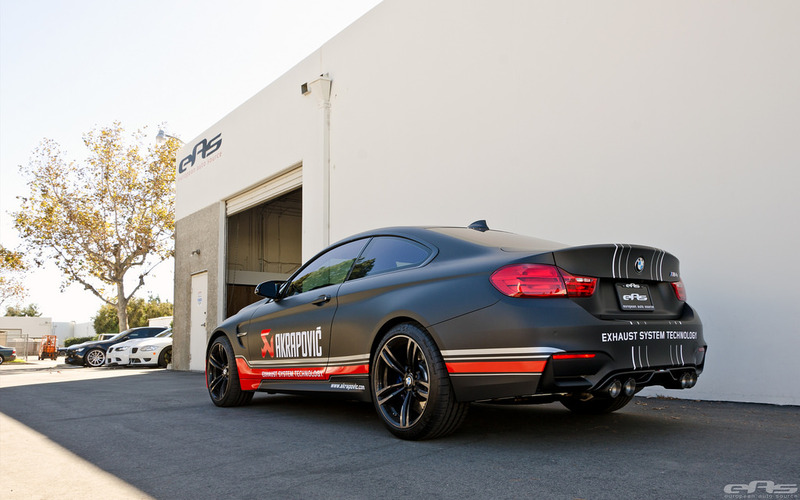 Akrapovic’s newly-acquired BMW M4 was just completed from getting wrapped and needed a system installed right away. 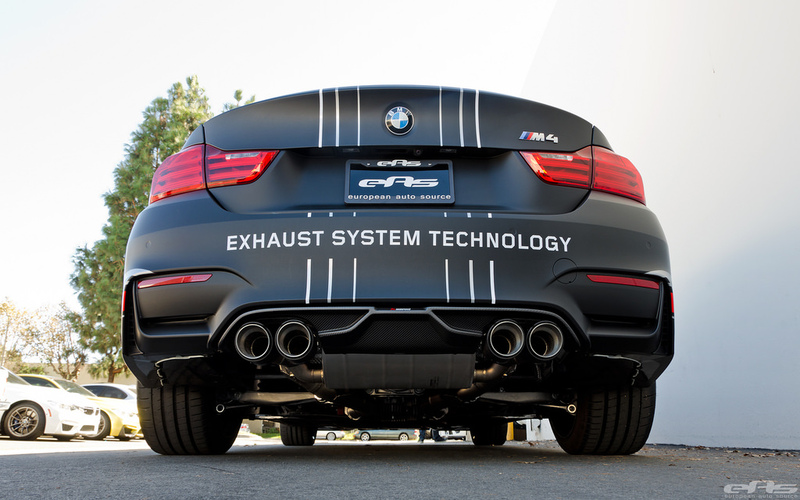 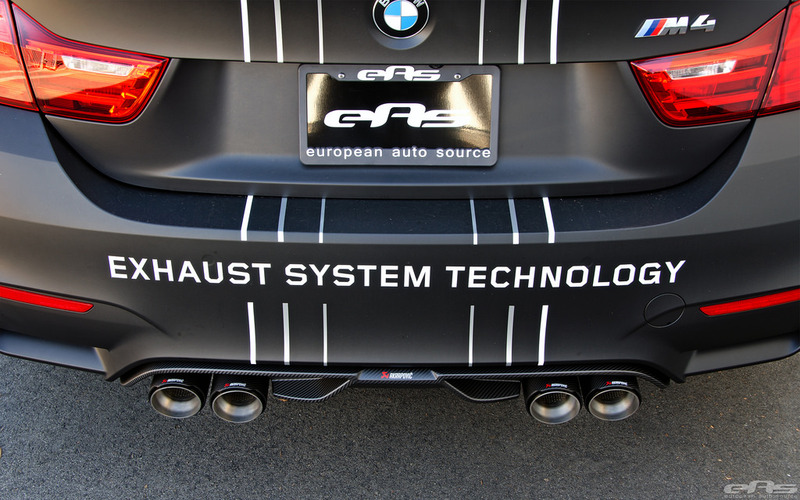 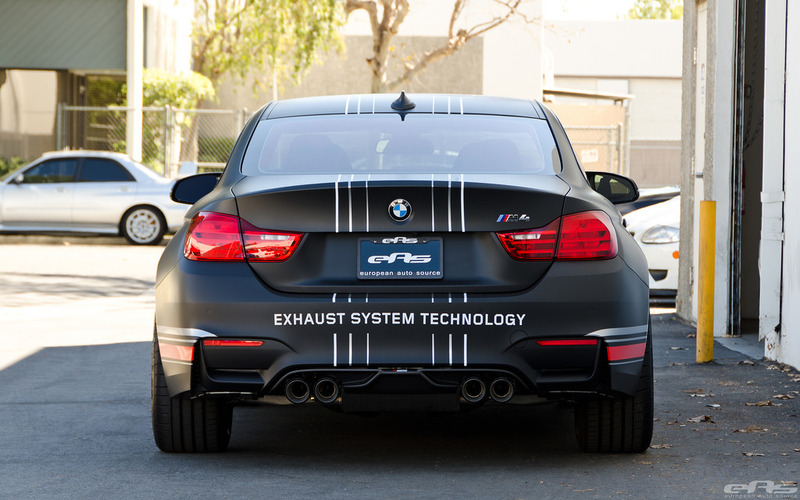 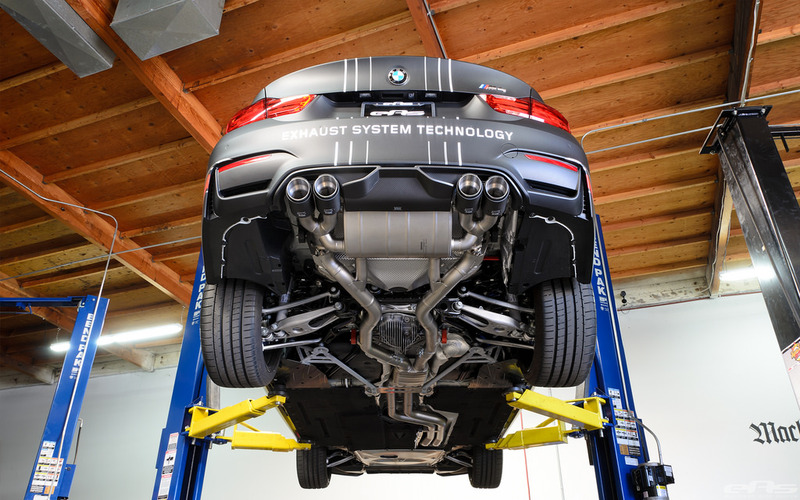 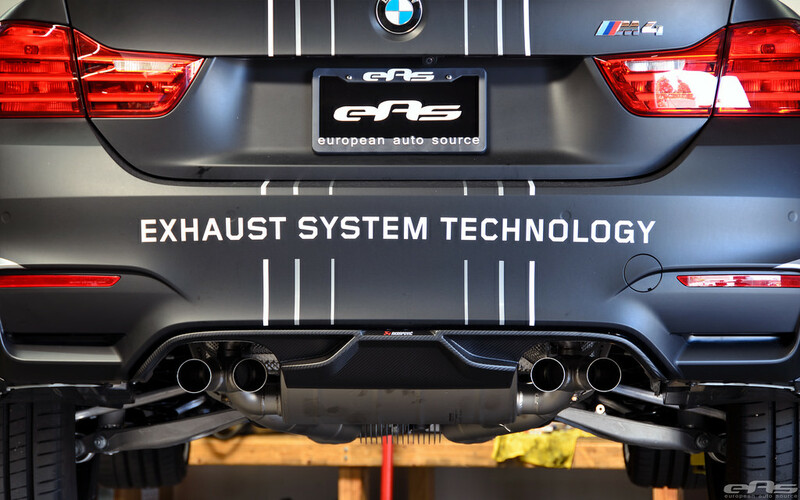 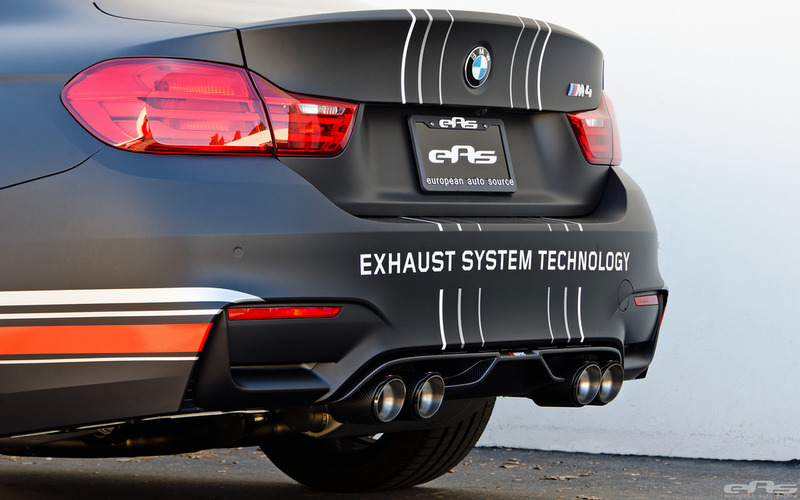 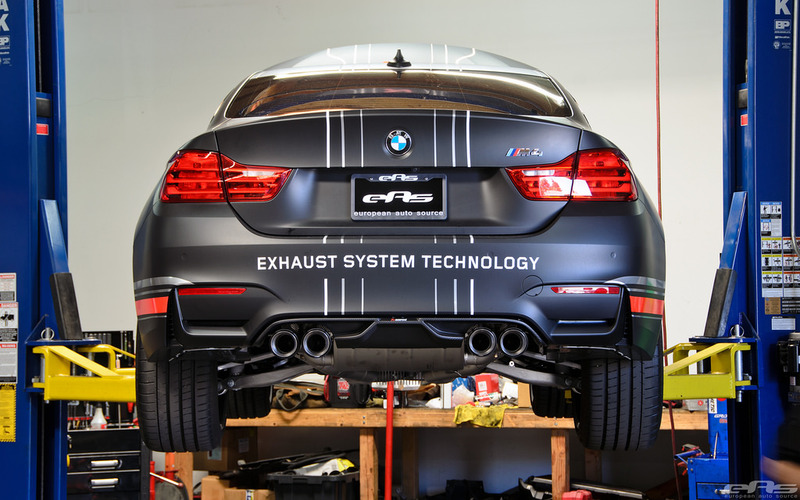 EAS has installed two sets of parts for this BMW F82 M4: an Akrapovic Evolution Exhaust System with carbon fiber tips and Akrapovic Carbon Rear Diffuser, all part of the same model lineup dedicated to the rear of this fine performance vehicle. 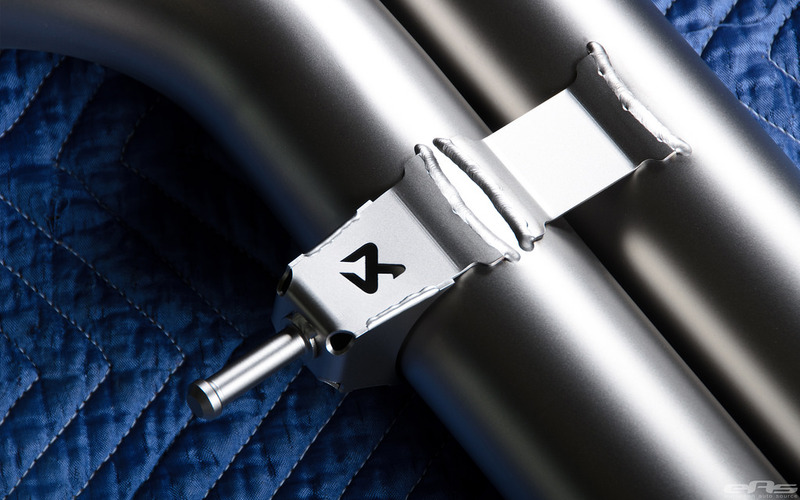 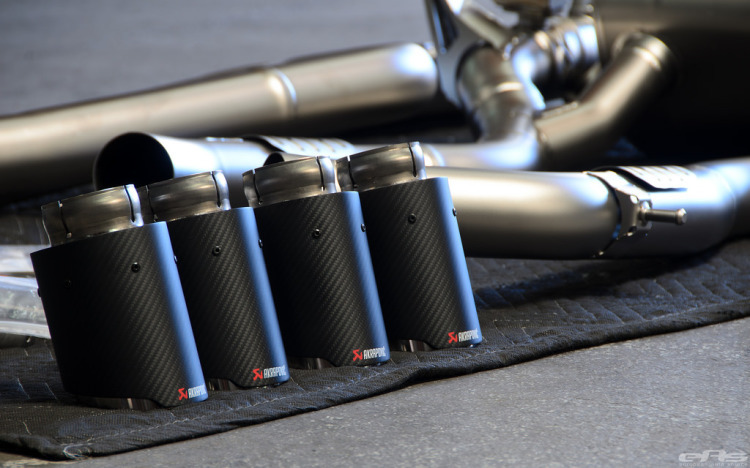 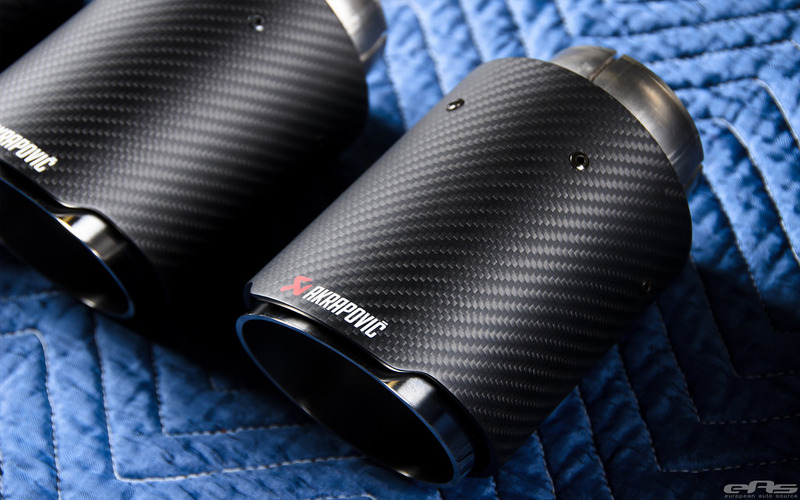 As expected from Akrapovic, the systems are very high quality and constructed from full titanium. 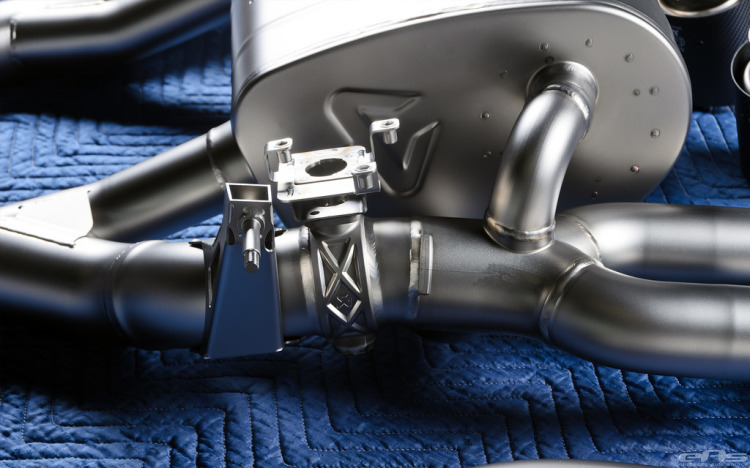 Everything needed is included with the Evolution systems for a bolt on installation. 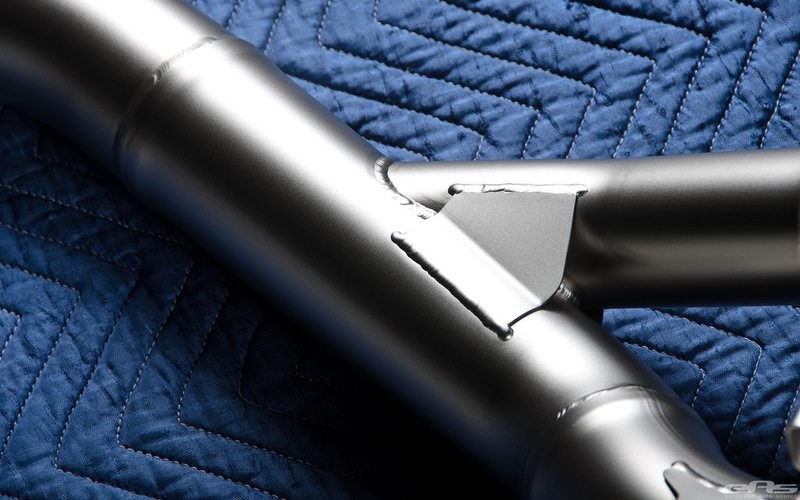 For those utilizing the Slip-On systems, the OEM exhaust is cut and installed with the provided clamps. The stock system parts work well with the brand new Akrapovic Evolution Exhaust System where the Valvetronic from the engine is used. 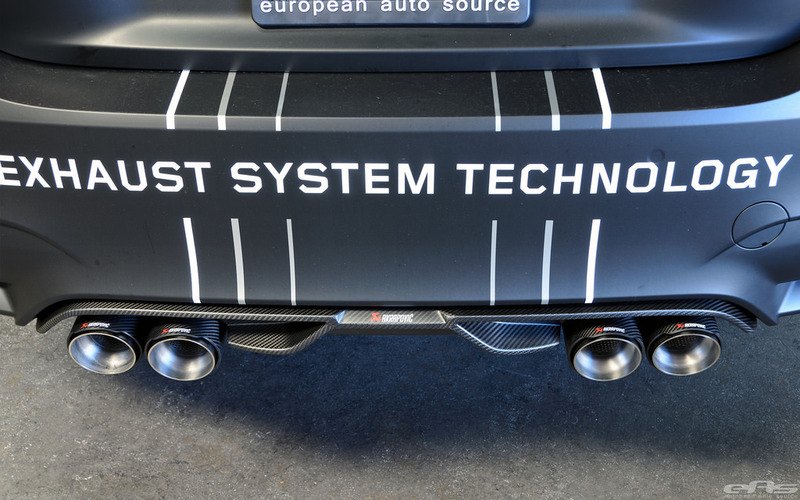 This allows the owner to control the volume and performance of the exhaust system by utilizing the onboard selection systems, making the selection procedure quite simple and elegant at the same time. 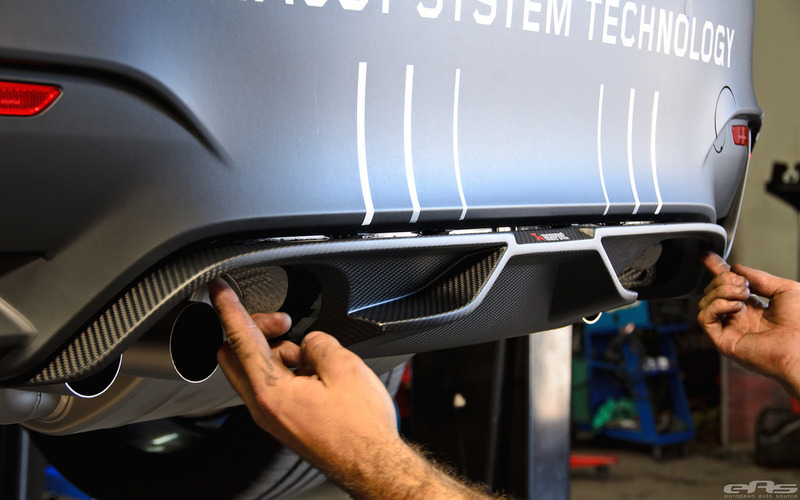 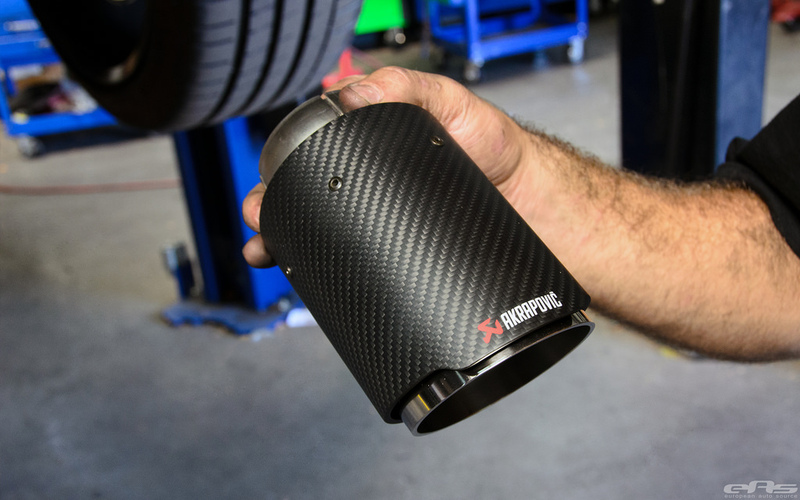 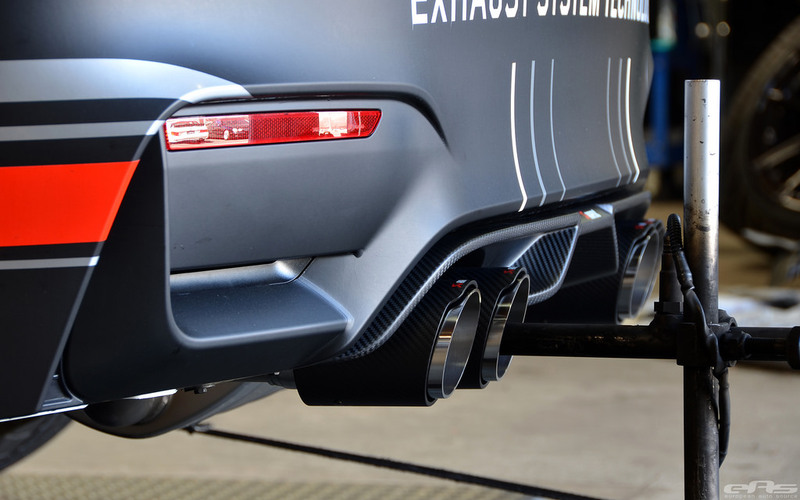 Even though there are two exhaust tips available: carbon fiber and titanium, for this build European Auto Source opted for the carbon fiber tips actually. 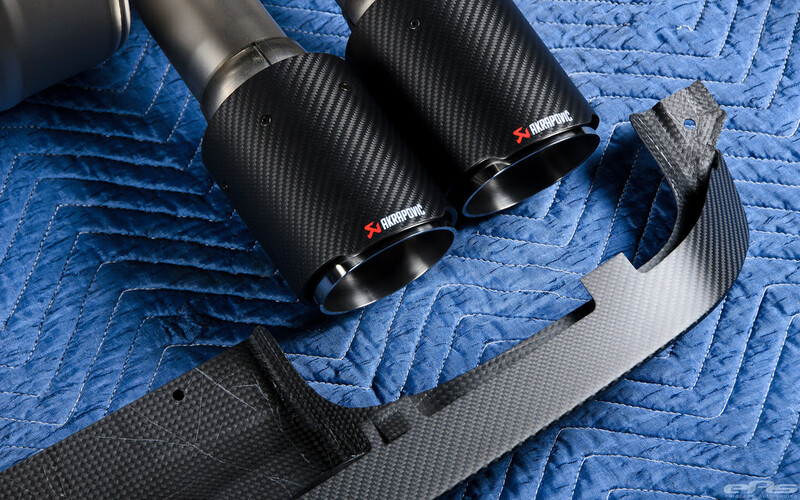 This will probably be the primary selection with many owners, as the carbon fiber tips from Akrapovic offer great visuals. 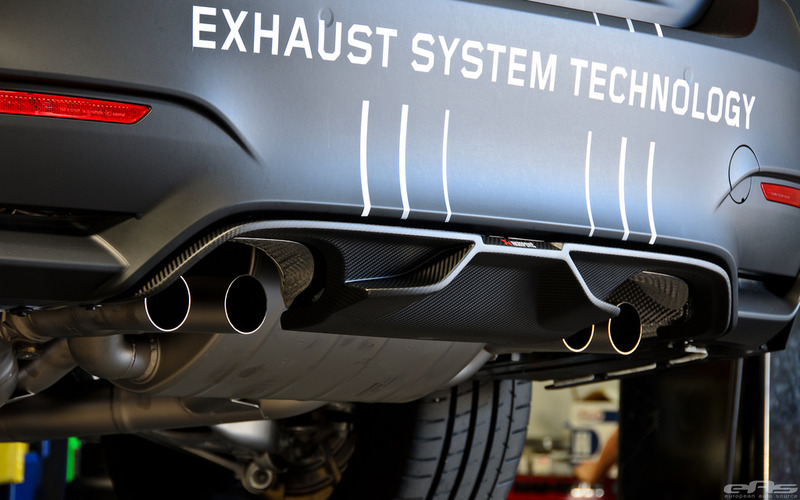 Naturally, they are resistant to high temperatures coming from utilization of such a titanium exhaust system in a performance car like this, completely ensuring durability and performance during its lifetime that is. 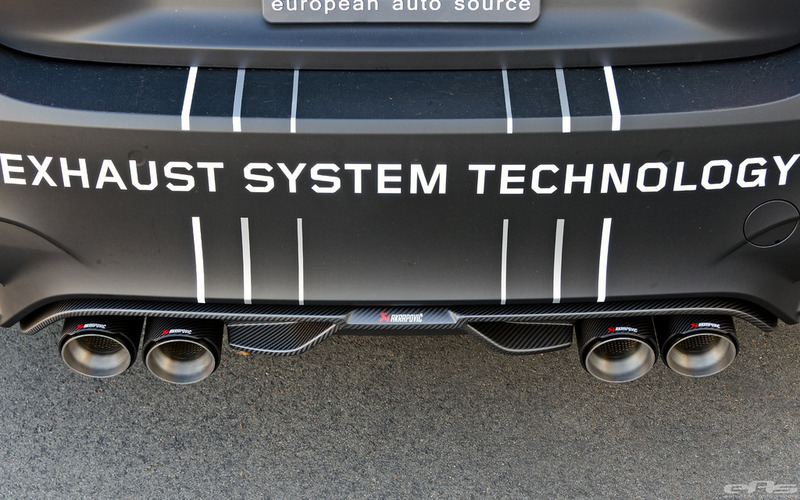 Additionally, you will find an Akrapovic carbon fiber rear aftermarket diffuser installed. 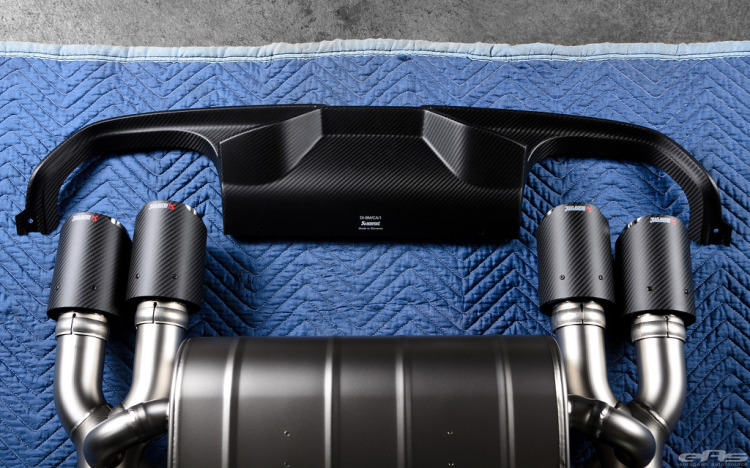 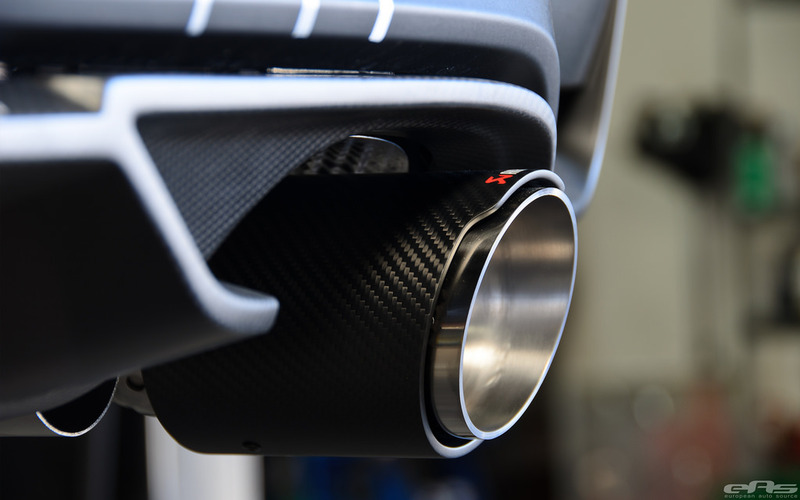 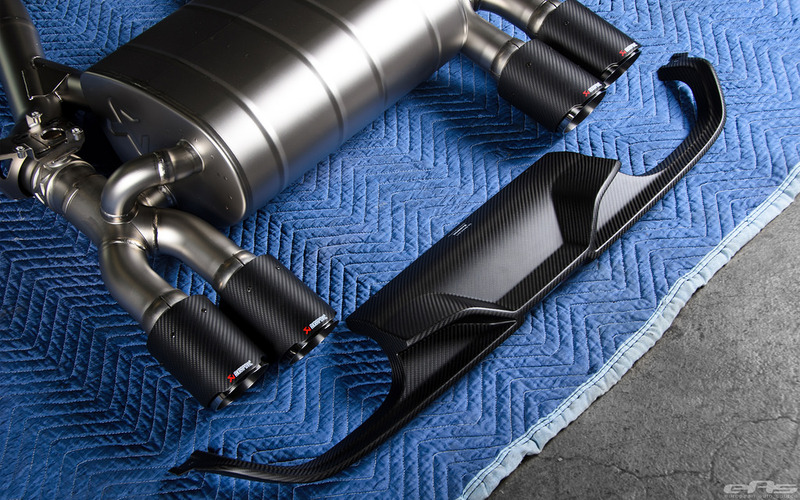 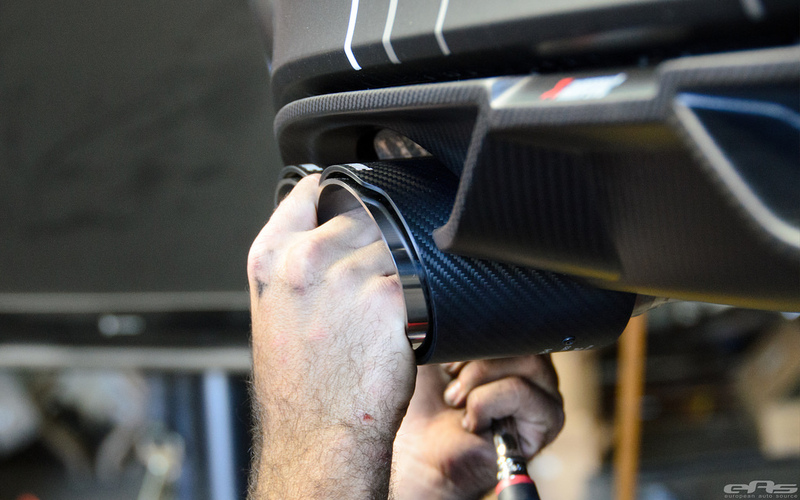 Relatively new for the BMW scene, Akrapovic has been manufacturing carbon for some time now of other platforms such as the Porsche GT3 and Ferrari lines. 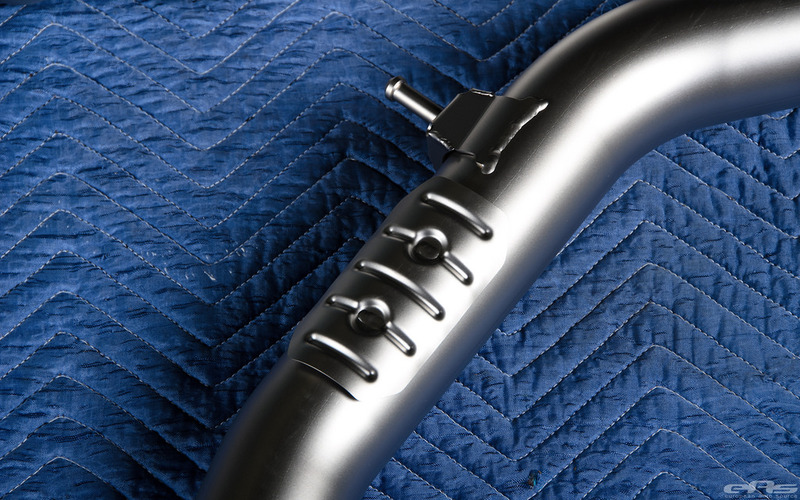 The quality on this piece is no different. 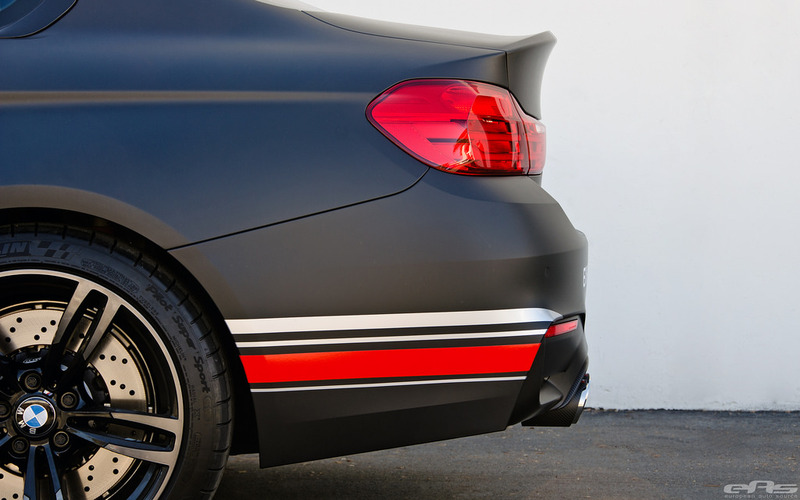 With a matte finish, this is a beautiful piece with exceptional quality, matching the tips nicely. 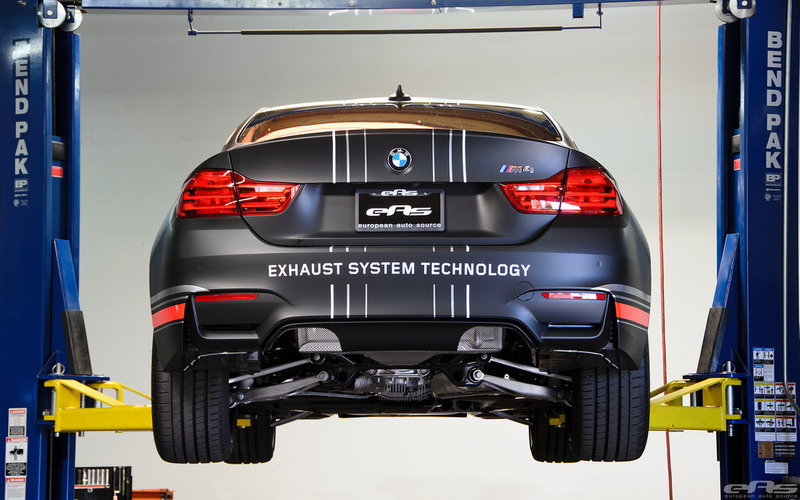 We have noticed that the rear diffuser is one of the first aero parts switched by owners where an aftermarket aero solution is installed on the BMW M3 and BMW M4. 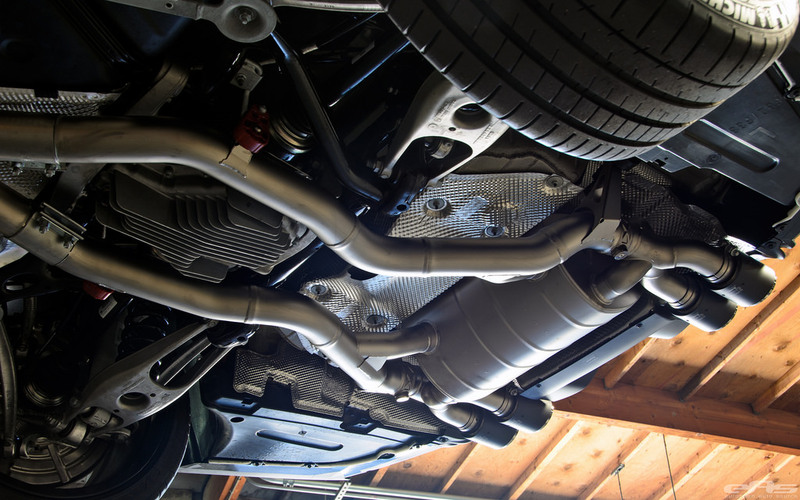 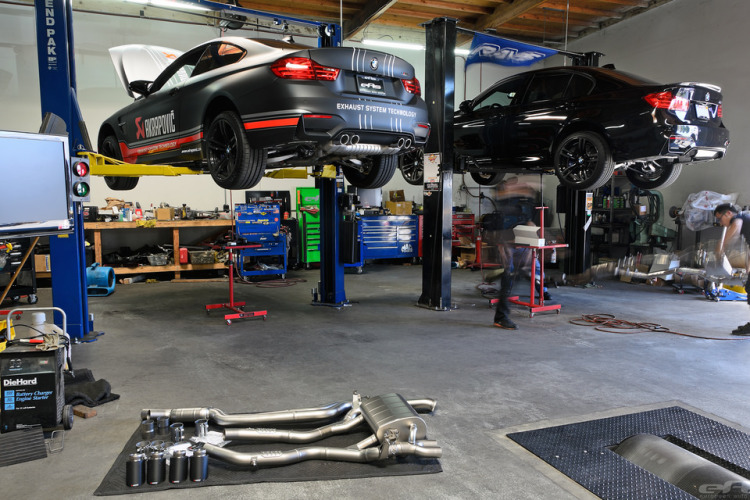 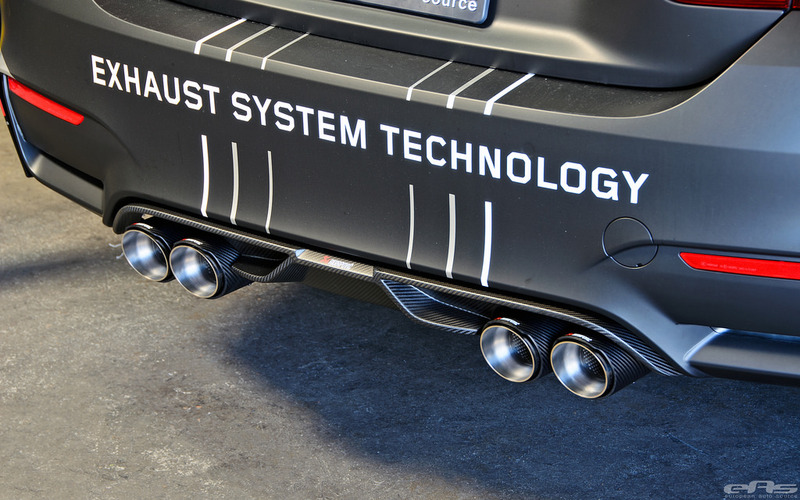 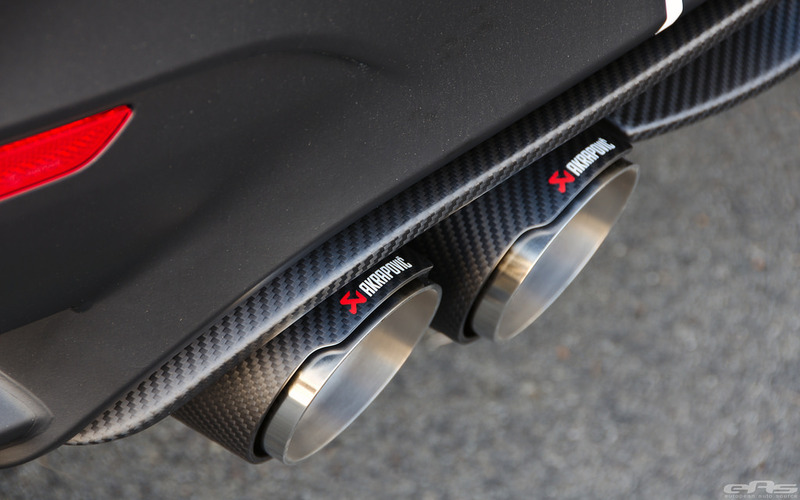 Furthermore, Akrapovic ensures their Titanium Exhaust Systems provide not just a performance upgrade, but also reduce the overall weight of the car itself. 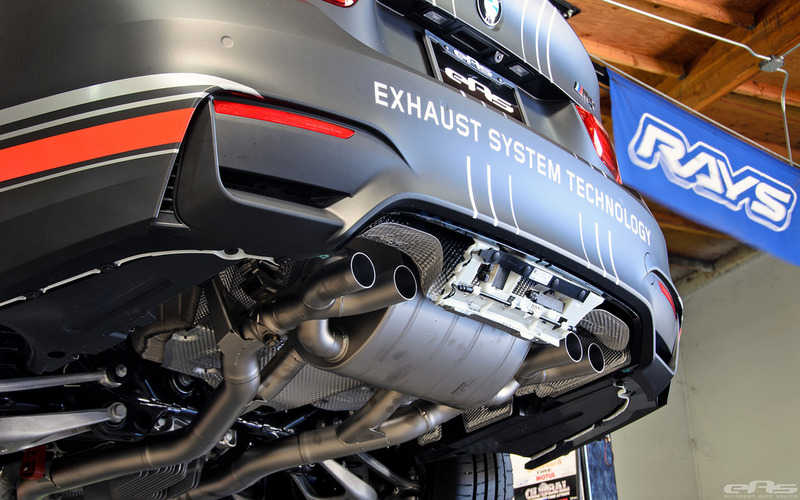 Compared to the stock systems, this new one offers a weight saving of 25.5 lbs for the whole system installed on this vehicle. 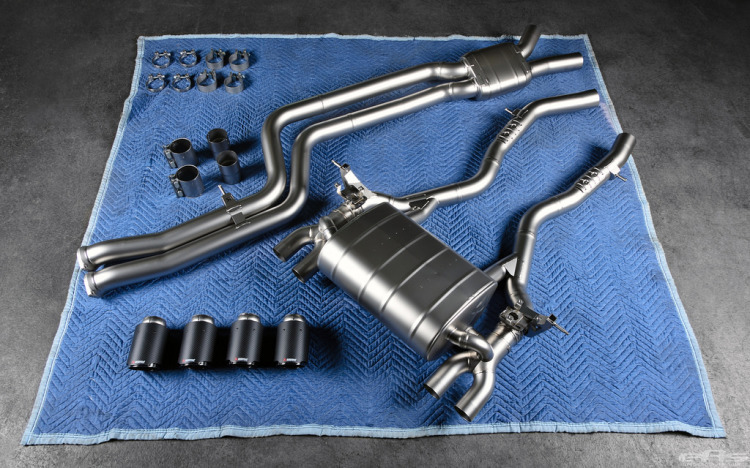 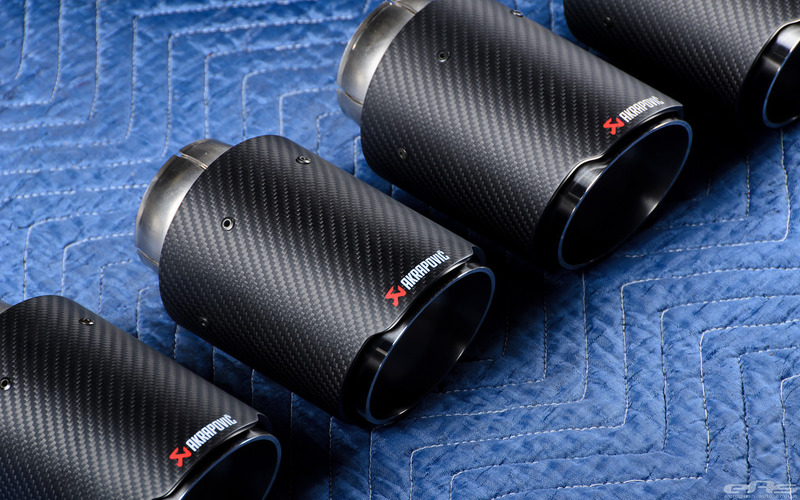 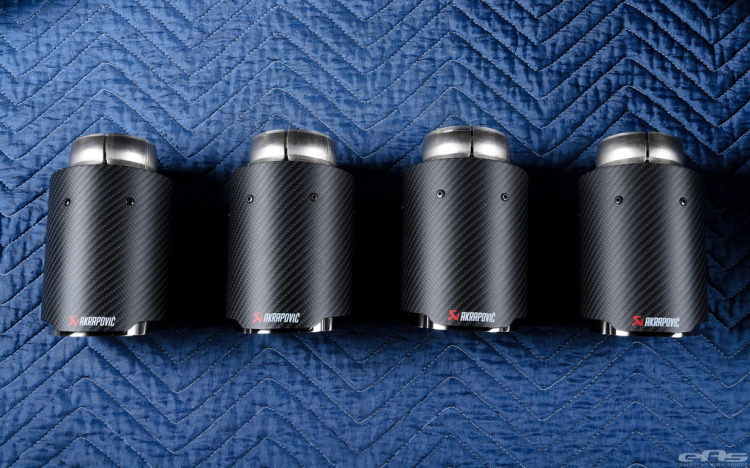 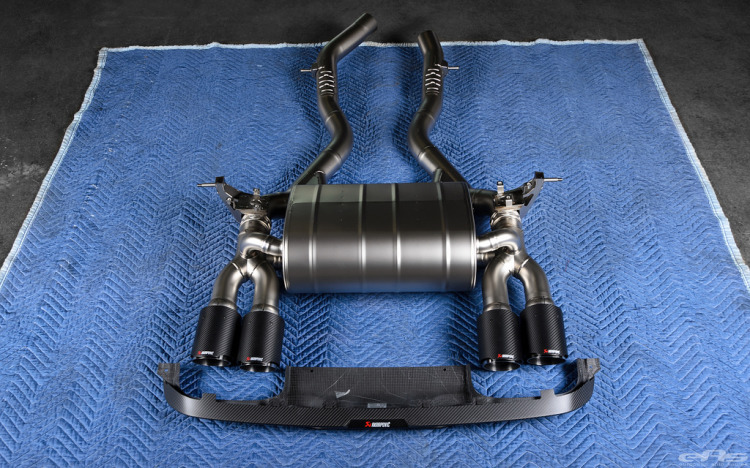 The OEM exhaust weighs, with a full system, 69lbs, where the Akrapovic Exhaust weighs 29.5 lbs for the Slip-On Section/Silencer and 14.9 lbs for the Connecting Pipe, making the aftermarket system a viable solution for high-performance builds like these. 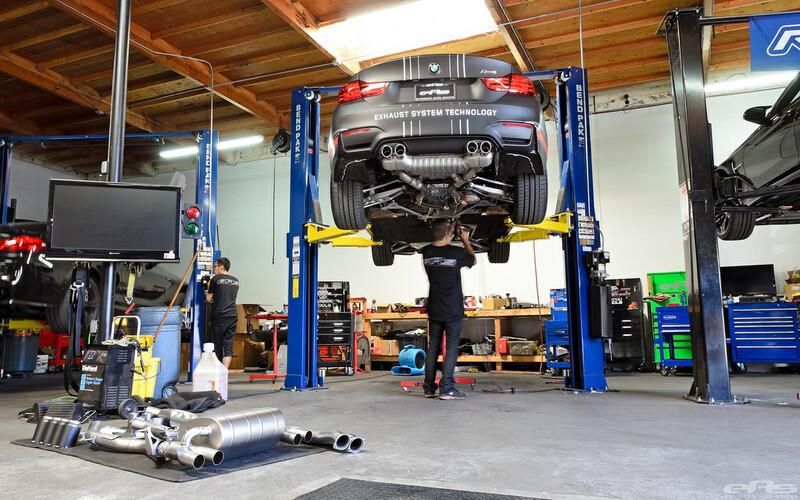 The complete installation is simple and quickly for this system and the whole procedure doesn’t take long at all. For those interested, you can find the complete installation procedure in the gallery added below. 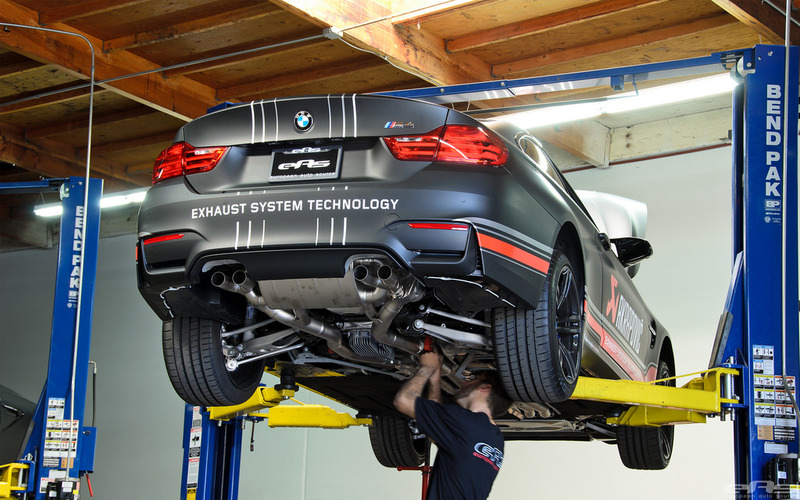 Then after the whole installation was done, next logical step was was for EAS to do a dyno test with the new exhaust system. 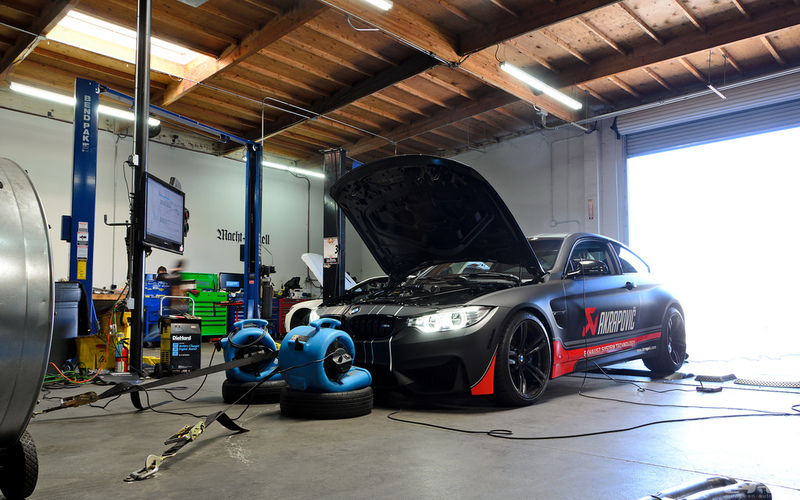 They found a gain of 7whp on 91 octane gasoline, providing useful information. 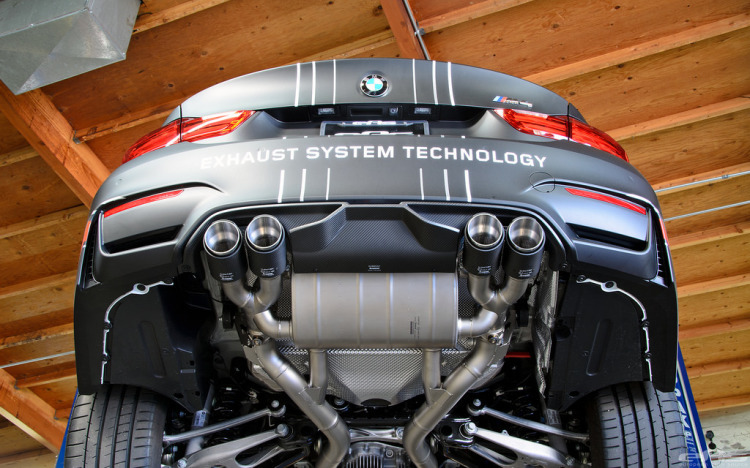 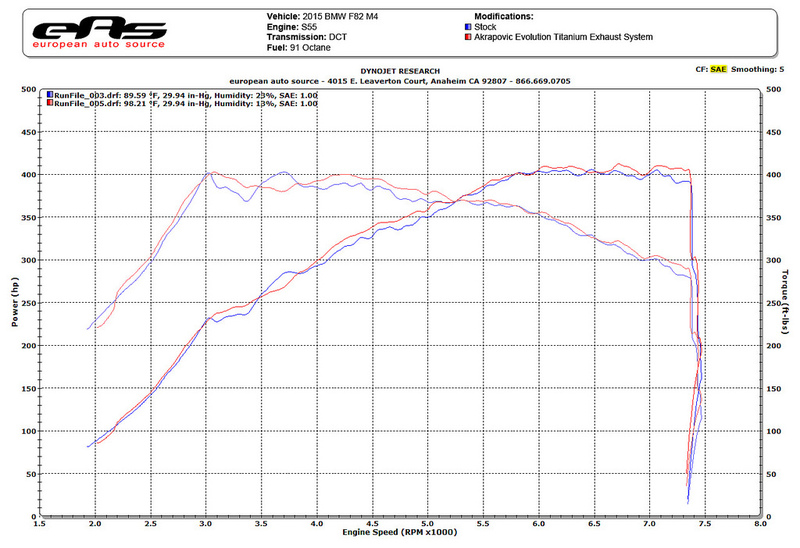 But this also proves that the OEM exhaust system on the BMW F80 M3 and BMW F82 M4 is very efficient by itself. They will now install downpipes and are expecting further performance increase with that. 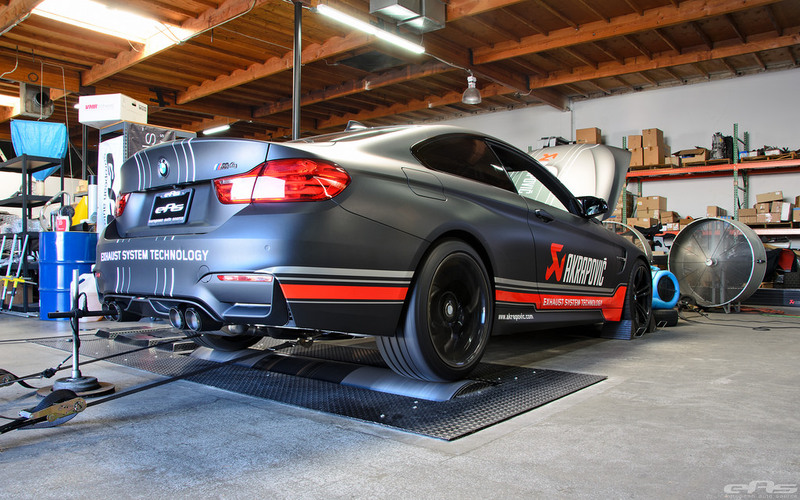 European Auto Source finally did a photoshoot after the installation was done, where the complete Akrapovic system appears like both a great performance and easthethics increase for this particular car entirely.